[5 mins. 53 secs.] The episode begins with a brief conversation with filmmaker AJ Schnack ("Caucus", "We Always Lie to Strangers") who updates us on next week's 7th edition of the Cinema Eye Honors. The ceremony takes place on Wednesday, January 5th at the Museum of the Moving Image. [15 mins. 52 secs.] Actor Thomas Jay Ryan ("Henry Fool") is the guest in this first episode of 2015. 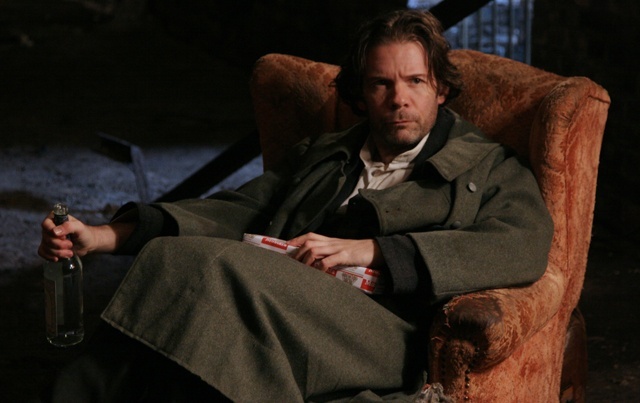 In addition to starring in the upcoming "Ned Rifle", the third in Hal Hartley's cycle which also includes 2007's "Fay Grim", Thomas is also appearing in A.D. Calvo's "The Missing Girl". If that weren't enough, Thomas is also appearing on stage in the Classic Stage Company's production of "A Month in the Country" beginning January 9th. Hal Hartley's film "Ned Rifle" whose cast also includes Parker Posey, Aubrey Plaza and Martin Donovan, will premiere on April 1st.